France's CMA CGM, the world's third-largest container shipping firm, reported a first-quarter net loss on Friday and targeted $1 billion in cost cuts to keep operating margins positive during the current market downturn. Weak freight rates in the past year have left many lines operating at a loss. The Marseille-based company is in the process of acquiring Singapore's Neptune Orient Lines (NOL) for $2.4 billion in its biggest-ever deal, and last month announced a global vessel-sharing alliance with three Asian lines. 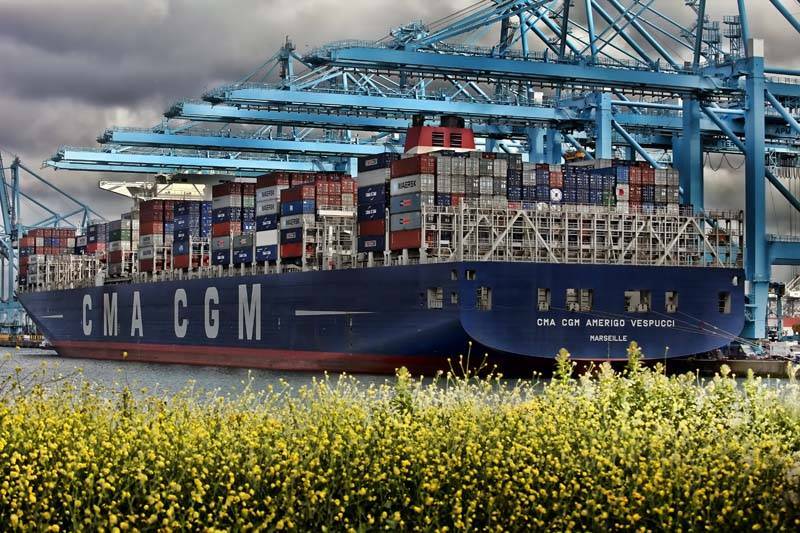 CMA CGM posted a net loss of $100 million for the first quarter, compared with a $406 million net profit in the same period of last year, it said in a statement. Core operating profit fell to $3 million, also from $406 million a year ago, while sales declined by 15.3 percent to $3.4 billion. Increased volumes, which rose 2.9 percent, and an unspecified fall in unit costs partly offset weak freight rates to bring the operating margin to 0.1 percent. "In a very difficult environment, we have in the first quarter recorded an increase in volumes above the market average, while maintaining a positive core EBIT margin," Vice-chairman Rodolphe Saade said in the statement. "We will continue our strict financial discipline, including the implementation of a significant cost reduction plan." The group said it plans to launch later this year an 18-month programme to lower its costs by $1 billion. A spokesman declined to give details on the measures involved. CMA CGM's group costs were $14.4 billion last year. Earlier this month market leader Maersk Line announced a return to profit in the first quarter, helped by cost cuts. Container shipping has been weakened by oversupply of vessels ordered during a previous boom, along with faltering global economic growth. 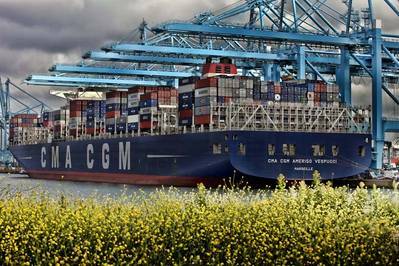 CMA CGM said freight rates on Asia-Europe and Asia-Mediterranean routes had improved slightly since the start of May 2016 but the market "remains fragile". Volumes growth in the first quarter was mainly due to routes to and from the United States, which outweighed a decline in volumes between Asia and Europe, the company said.